Social media doesn’t have to be daunting. In fact, it can be your best sales associate and your favorite marketing tactic. The key is to focus so you don’t get overwhelmed. It all begins with your message. Here are five steps to go from strategy to scheduled for social media success. #1 Create Your Social Media Strategy. For your Brand, you have a strategy. Now, align that with Social Media. Determine your niche—your target audience. Consider pain points and interests; and your solution for them. People seek solutions and benefits! Brand strategy is a long-term plan for development to achieve specific goals. It is your playbook. Goals, strategies and tactics are outlined to give you a game plan. Your brand is not your product, your logo, your website, or your name. It is much more than that. It is tangible and intagible, purpose driven, mission focused attributes that are your reason for being. It’s a feeling that separates powerful versus mediocre brands. Distinguish your brand — how do you differentiate yourself and speak to your audience in a way that attracts them? There are many ways to give your brand a personality. From your logo and colors to tone of voice, messaging must align with your audience while remaining consistent in delivery style. Imagine your brand talking with one customer. And then, replicate that conversation consistently in the marketplace. This is where the social media strategy comes in. Now, create a plan for social media that addresses your target audience where they are. Design a communication and messaging strategy to deliver information that is helpful to them and of interest. Relate to other topics that they are engaging with across platforms. Check out this article of interest — Perfecting the four P’s. Know what makes you different from your competition. Define your target audience and the solution you provide. Translate this to your Social Media strategy. #2 Choose Your Social Media Platform(s). You aren’t required to be on every Social Media platform to be successful. Pick one, possibly two to start. Avoid overwhelm! In the beginning, fewer and BETTER is the focus. Facebook is the logical first choice for most brands. Twitter, LinkedIn, and/or YouTube are strong second choices, depending on your niche. With Facebook, create your personal Profile then set up your Business Page. From quotes to images to video, you can dominate presence in your niche. Facebook Live amplifies the possibilites. You can benefit from low cost, highly targeted Facebook Ads to generate leads and build your list. 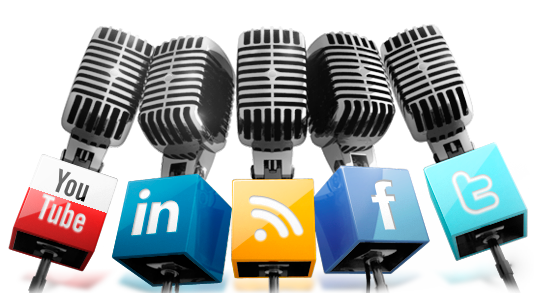 Twitter, Instagram, and Pinterest along with LinkedIn and YouTube are great online real estate for your message. Your strategy will assit you in selecting the one or two places to start so that you speak to your tribe and align with your message. To get a feel for the social media channels, check out this article of interest — Social Media at a Glance. Set your goals — what you aim to accomplish. Select the Platforms you will use to START. Set up your social media sites. #3 Curate and Create Your Content. Develop an Editorial Plan to guide your content with purpose. And then you can repurpose the information across your social media channels. This reinforces your presence. Create a calendar — three, six, nine, or 12 months out. For each month, brainstorm themes and then topics within that theme that would be of interest to your audience. Look at information that will establish you as the “Go To” person in your arena. Choose themes and topics so you can weave information from one post to another. Look at the map of content so you know what you are sharing each and every day. Content can easily be “re-purposed” and used in a variety of ways, and across multiple platforms. For more insights, check out this article — Repurpose Key Twitter Posts. Outline topics of interest to your niche. Create a 30 day content editorial calendar. #4 Create a Series of Messages. Now comes all the write stuff. Tailor the words to fit the channel. A blog post can be pulled apart for fodder you can upload to Twitter or Facebook. Specific messages can be developed for each channel and your audience there. If you desire assistance with this, let me know. Now, get going. Check out this article of interest — Pretty Perfect. Develop content tailored to each channel. Consider quotes that align with your message. There are a number of ways to deliver information—your brand strategy will assist you in selecting the style(s) best suited to your message. Photos; Infographics; Videos (Live and Native); Blog Posts and Original Articles by you; White Papers; Blogs and Useful Articles by other thought leaders in your niche who do not compete. Make Video a priority as it gets the MOST engagement! Once you determine the style of information delivery, create your content. Outline it. Find photos and images to add impact. Consider using Piktochart or Canva to create images and infographs. Look at Notegraphy for creating impact with your words. And, find free photos and images at Pixabay. Check out this article of interest — A Picture Worth 1000 Words. Consider your brand image and align visuals with that. Develop content across visual media. Effective Social Media Marketing can be done in 30 minutes a day when you have a plan and you WORK that plan. You can use tools such as Hootsuite or Buffer to schedule your posts in advance. This puts your social media presence on autopilot. Check out this article of interest — Storytelling and the 3 T’s. Schedule posts for 30 days—consider Hootsuite or Buffer. Check in every day for 30 minutes to boost activity and interact with your tribe. Share posts from others who attract your niche. Define your brand strategy and your message. Choose which delivery method will be best for your message. Make a list of themes and topics of interest. Create your content. And schedule it. Congratulations! You now have the steps required to command Social Media and dominate your niche for business awareness, lead generation, client contact, and nutured relationships that lead to SALES! For assistance in creating your content, get in touch with me.